This is the real deal, not a pop-up tent or a pipe-and-drape. 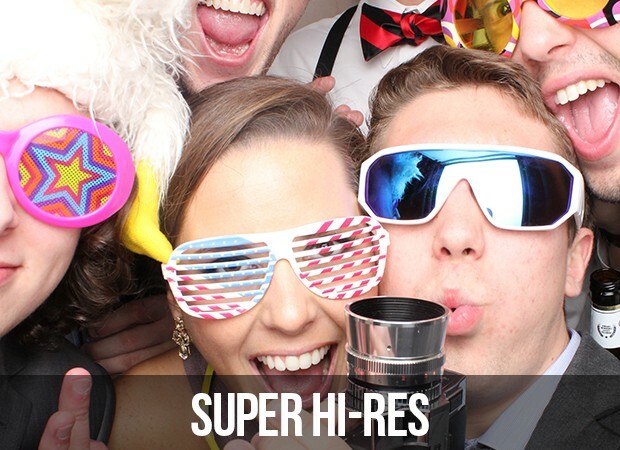 We've seen some pretty questionable "photo booths" out there, but your guests will be impressed with our booth's unique, clean design and intimate, real photo booth feel. 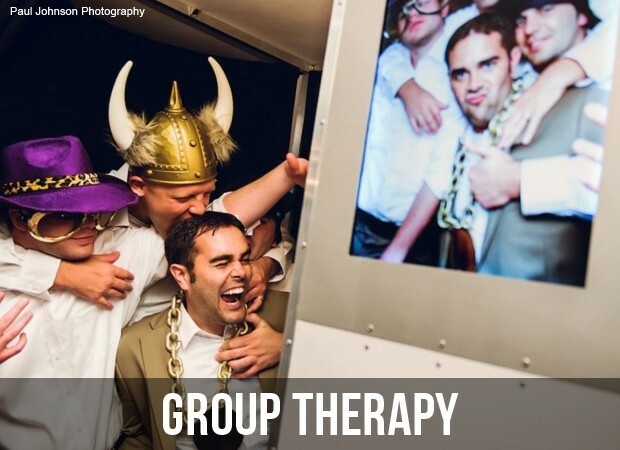 The photo booth's small footprint (6'x4') means it can fit into tight spaces. And the booth's unique, curved back wall fits more people than a traditional booth. 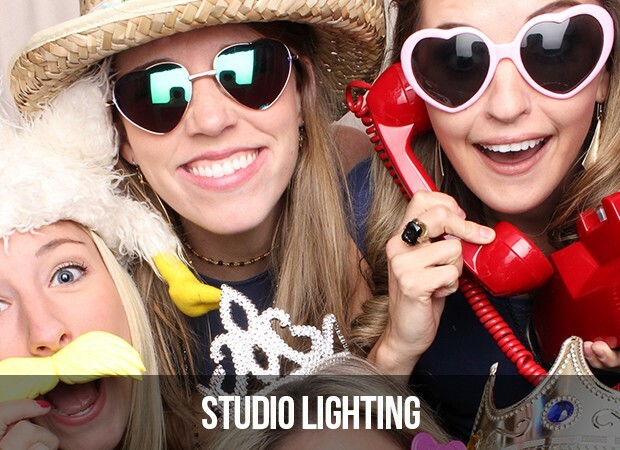 Our professional studio lighting makes your guests look like models. And when your guests look good, they take more (crazy) pictures. And that means more blackmail material for you, the host. We shoot and print photos at 300dpi, the same resolution that fashion magazines use. Are you ready for your close-up? 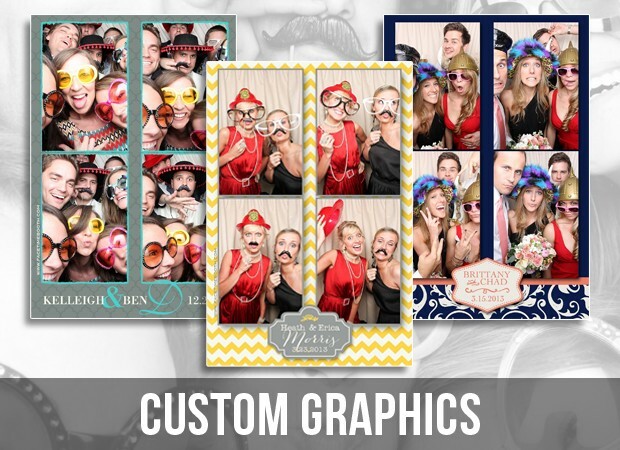 Want your guests to go home with some fun "I was there" keepsakes? Great, that's what we do best! 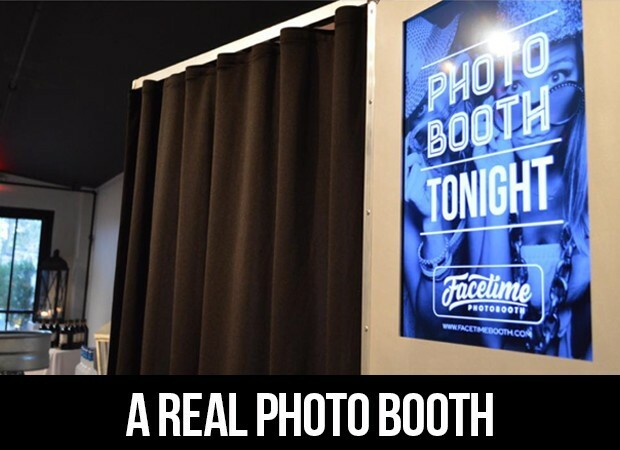 We'll print beautiful, branded, high-quality photos right from the booth. Book our Ultimate Package or add Digital Sharing to any event. Guests can email, text, or post their photos to let everyone in on the fun. Live from the event! That's right. You can watch the shenanigans unfold in real-time on our large 26" LED monitor. This fun feature really gets the party going as guests try to one-up each other's prop-and-pose combinations. We think squeeeezing into a photo booth makes for some hilarious photos. The intimate size and unique shape of our booth lends itself to some very creative positioning and poses. We use a third-party professional graphic designer to produce one-of-a-kind custom print borders.